Jefferson County Pet Food Pantry : Wine and Witches Night Saturday Oct. 15th!! Wine and Witches Night Saturday Oct. 15th!! 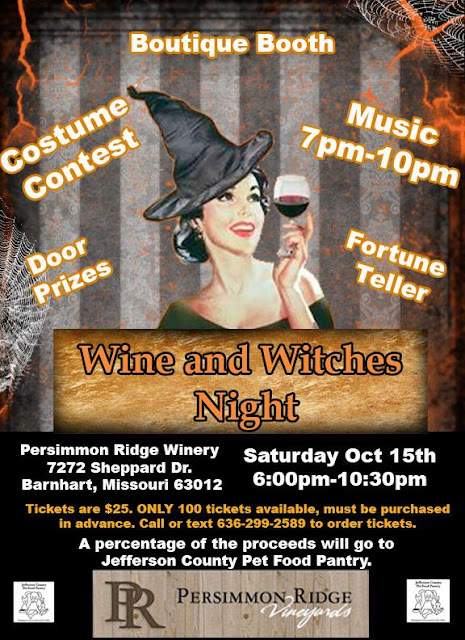 Still tickets available for Wine and Witches Night this Saturday 10/15. It's going to be a beautiful night filled with music, shopping, prizes and more!